“All zoos, even the most enlightened, are built upon the idea both beguiling and repellent—the notion that we can seek out the wildness of the world and behold its beauty, but that we must first contain that wildness.” - Thomas French, Zoo Story: Life in the Garden of Captives. Animal rights activists and park keepers have been disputing the merit and morality of zoos for years. In fact government-funded studies have found surprising neutrality in public opinion when it comes to the captive animals debate, with many people remaining on the fence, unable to commit to either condoning zoos for their conservation efforts, or condemning them. Circuses and other environments in which animals are seen as entertainment and are required to perform have also been under the spotlight in recent years, with CAPS (Captive Animals’ Protection Society) reporting that the government is currently proceeding with a ban to prohibit the use of any wild animal in the circus. This includes big cats and elephants, as well as camels, zebra and raccoons - animals that were previously considered too minor to warrant protecting. For some this ban will mean the end of an era, while it will come as a huge relief to those who have been campaigning for the veto for decades. So what is the captive animals debate and what are the main issues involved? The debate essentially poses the following questions – are we within our rights to confine animals that have evolved for centuries to live wild and free, in order to safeguard their existence (and the sustainability of their existence) on the planet? To what extent should we incarcerate animals that are intrinsically wild for the benefit of generations of species to come? And where does it end? When do we decide that enough animals have been bred in captivity for the species to survive once returned to the wild? In fact, how can we even be certain a wild existence is infinitely better? The debate is charged with questions. Those that support zoos (aquariums and other captive environments) reason that they welcome more good than harm. Before the zoo, we had menageries. These establishments were often owned by elitist members of the aristocracy or royalty, who wanted nothing more than to showcase their wealth and power. 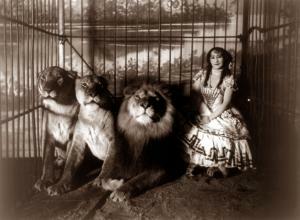 Animals were confined to cramped, unsanitary enclosures and were put on display to the public. Menageries were money-driven and demonstrated a complete lack of understanding, or a complete disregard, for the needs of their animals. The modern zoo of today is a far cry from its predecessor. Today, the animals kept at zoos around the world are well provided for with species-specific care that takes into account their habitat, diet and the dynamics of different animal communities. In the captive environment, animals are better protected from predators, poachers and the loss of habitat that is often seen in the wild. If they experience injury or complications in health, the best veterinary help is immediately on hand. They are fed and watered regularly, never needing to hunt for their food or go without because of drought, and are placed in an enclosure that best replicates their natural environment. Besides, not all wild animals in captivity are caged in zoos; in the UK there are a number of specially designed, sprawling game reserves that provide ample space for movement and grant as natural and true an environment as possible in a controlled setting. In these environments, endangered species are protected and bred, helping to re-build diminished populations. For conservation measures alone, the efforts of zoos are highly praised. Besides conservation, zoo establishments also offer an educational insight into the nature of these wild animals – how they look, how they interact with humans and each other, how and what they eat, how they play, communicate and breed. The majority of all animals kept at zoos have hailed from the savannah plains of Africa, the jungles of Asia or the frozen ice-sheets of Antarctica, meaning that most people would never have had the opportunity to view these animals in the flesh if not at their local zoo. For the keen zoo-goers amongst us, imagining a world in which you had to travel halfway across the globe to glimpse a Silverback gorilla or a Bengal tiger is probably a difficult task. It is the general belief of zoos (and, in fact, the majority of animal performing environments) that by generating interest in wild animals by having them on display, people are encouraged to support conservation efforts through donations and through raising awareness. Those that are enchanted and fascinated by the wild animals on display at their local zoo are thus more likely to contribute to their care and the efforts being made to sustain their species. On the flipside, it could easily be argued that many view these animals, albeit in an artificial environment of cramped dimensions, and feel sufficient pity and outrage to want to invest in protecting similar wild animals. This leads on to the argument against captive establishments and the way they exhibit animals as objects of public curiosity. Many people, including various organisations campaigning for the liberty of wild animals, argue that zoos strip animals of their freedom and interfere with their natural instincts (such as their instinct to hunt) by giving them everything on a plate. If these animals were then ever released back to the wild, how would they be able to survive? The dynamics of individual animal communities are also jeopardised when animals are removed for sale to another zoo, for instance, as when they were originally taken from the wild. It is the view of many that these intelligent creatures are not given adequate space to navigate day-by-day, or the enrichment needed to occupy and stimulate their natural senses. This lack of stimulation subsequently results in chronic boredom and often causes intense stress, depression and behavioural problems in captive wild animals. A government-funded study found that 54% of elephants kept in UK zoos displayed signs of behavioural problems, whilst 48% of lions paced back and forth in their enclosures during the day. More disturbingly, a study conducted by CAPS discovered that despite conservation efforts being made to preserve critically endangered species through careful breeding (it is claimed that 95% of captive wild animals are not actually endangered at all), many ‘surplus’ animals are being destroyed across European zoos because of a lack of room and financing. CAPS estimates that up to 200,000 animals have been destroyed rather than be returned to the wild. This needless killing is said to have been ‘actively encouraged’ by the European Association of Zoos and Aquaria in 2007. But zoos and circuses are not the only captive environments where wild animals are used to entertain. Perhaps the most controversial topic of the captive animals debate is the plight of large marine mammals, most notably killer whales, that are confined to small, swimming pool-sized tanks and forced to perform for the reward of food and applause. Establishments such as SeaWorld that breed captive whales, as well as mercilessly removing many from the wild, are a far cry from the modern-day zoo. In relation to their size, the enclosures provided for big cats are adequate and are usually (in reputable zoos) designed to resemble the natural habitat as closely as possible. The animals kept at zoos are not made to perform, are not placed in rival communities with different subspecies, and are not separated from their mothers before they are ready, to sell on for a sizeable profit. In the wild, killer whales are believed to swim up to 100 miles a day, with females having an average life expectancy of 80 years, like the typical human. In captivity, this figure is far reduced, with killer whales living an average of 9 years. Much can be said about the injustices of keeping such large, regal and profoundly intelligent creatures captive for human enjoyment, and we have barely scratched the surface. In terms of zoo captivity there are varying opinions on the matter, as this article has hopefully covered. Some strongly believe in the value of such establishments when it comes to conservation and education – a view that is difficult to contend. Others remain adamant that zoo life is no life for a wild, apex predator and that whilst the modern-day zoo claims to be conserving species; it does so with no intention of ever returning them to the wild.